Caution: There are animations in this page. 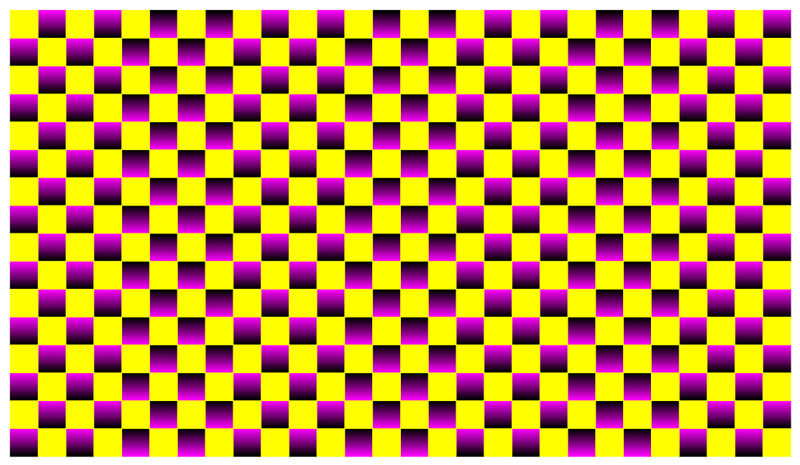 The image appears to be bumpy and appears to move. The image appears to move. The left image appears to rotate counterclockwise while the right one clockwise. 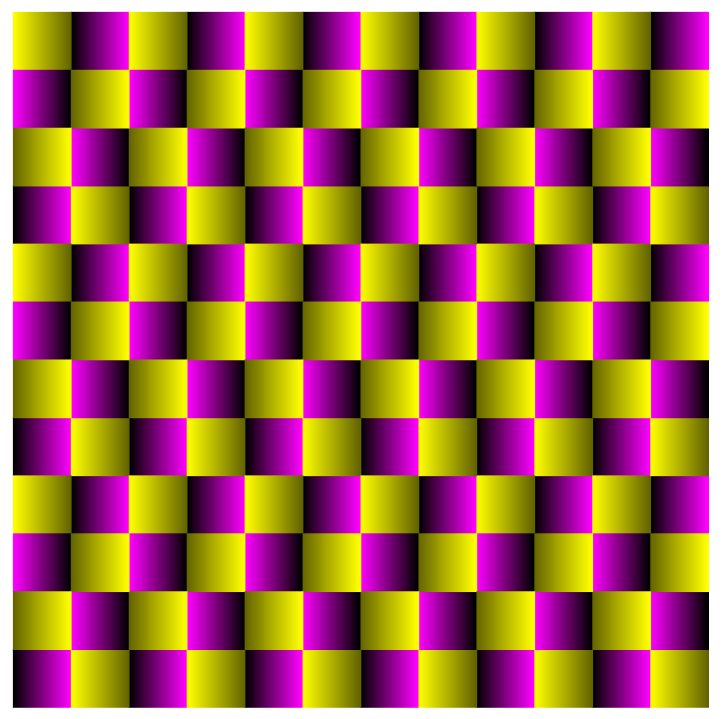 However, the reversal is observed when we watch this image by keeping blinking. Warning: Do not keep blinking too frequently. 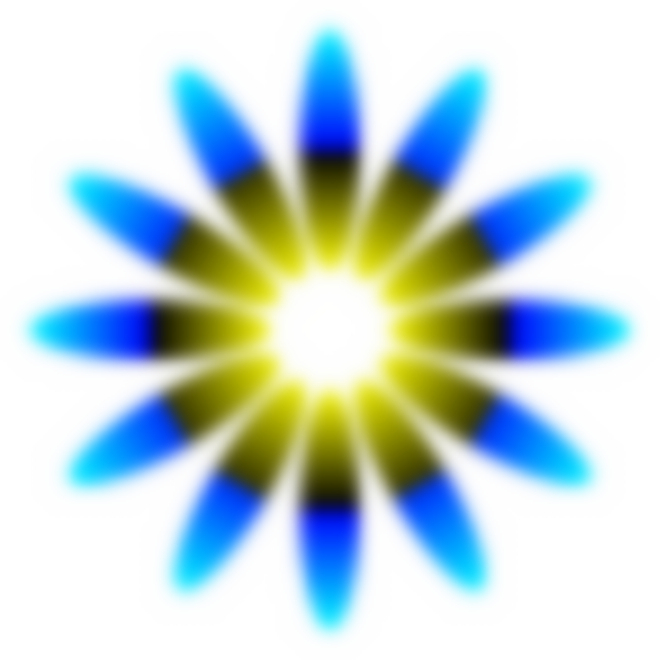 Blink vibrates the retinas in the eye balls, which might possibly cause serious disorders, e.g. retinal detachment or hemorrhage of the fundus for those who have too strong nearsightedness, high blood pressure or diabetes. The rings appear to rotate though only two images alternate actually. The yellow circle appears to expand. There are purple-red dots but observers cannot catch them in the central vision. Each ring appears to rotate slowly without effort. In this case, the direction of rotation is constant. 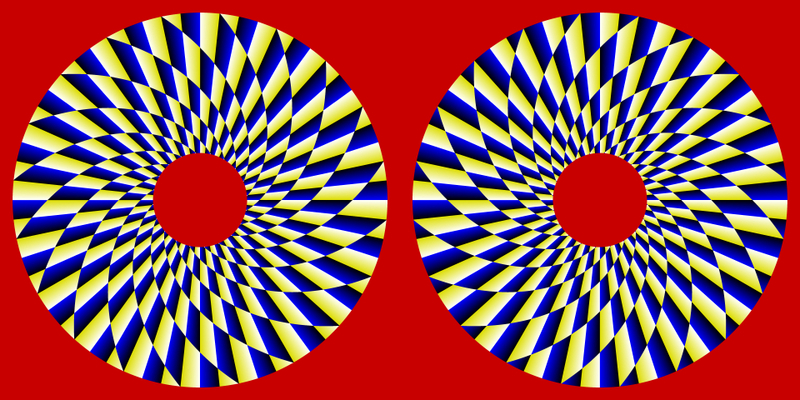 When observers keep blinking, each ring appears to rotate quickly. In this case, the direction of rotation is not constant. Attention can change the direction. (Ritsumeikan) appears to jitter when the surround flips in contrast. 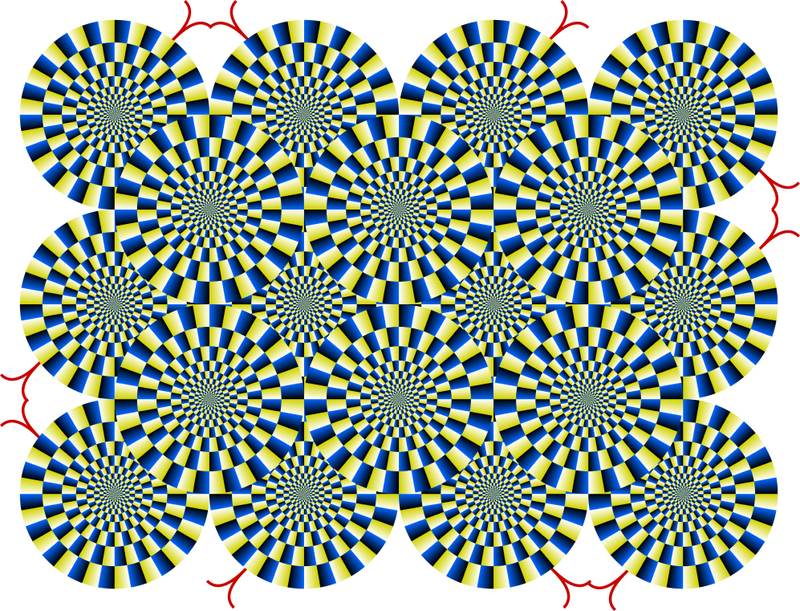 Many observers possibly do not see this illusion. 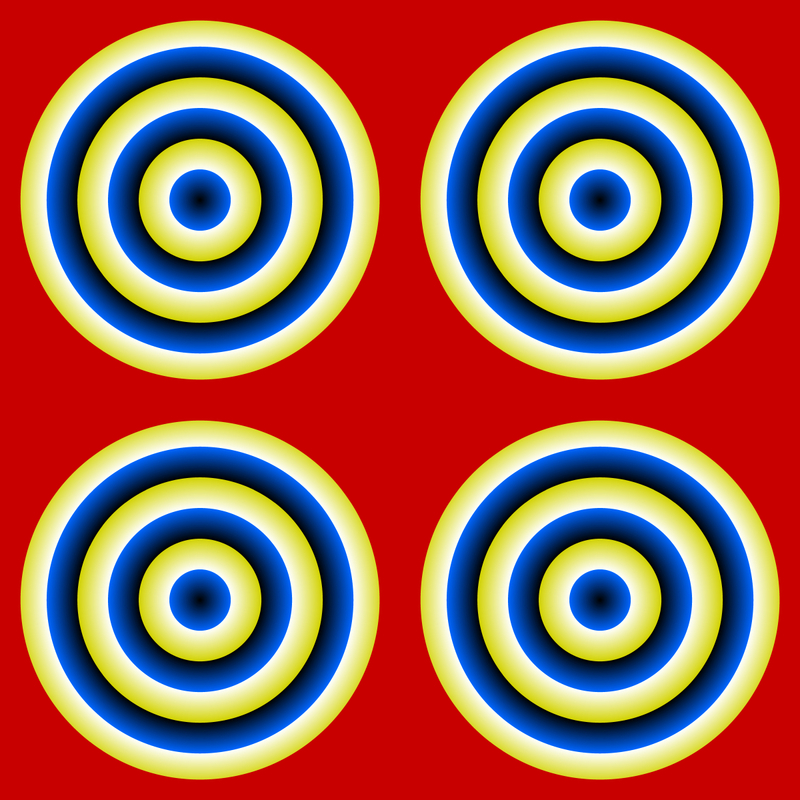 Both rings appear to rotate clockwise. 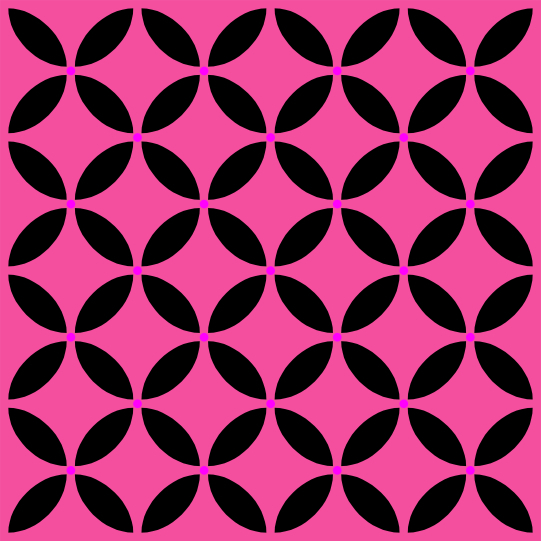 Moreover, the left ring appears to contract while the right one appears to expand. 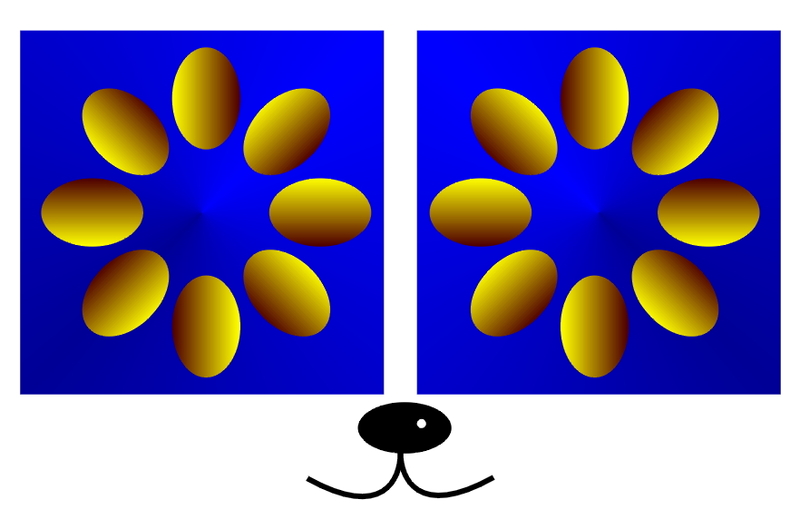 "Rotating eyes of a dog"
The left ring may appear to rotate clockwise while the right one counterclockwise. However, keeping blinking reverses these directions. One of the works that were not adopted for New Year's card designs.